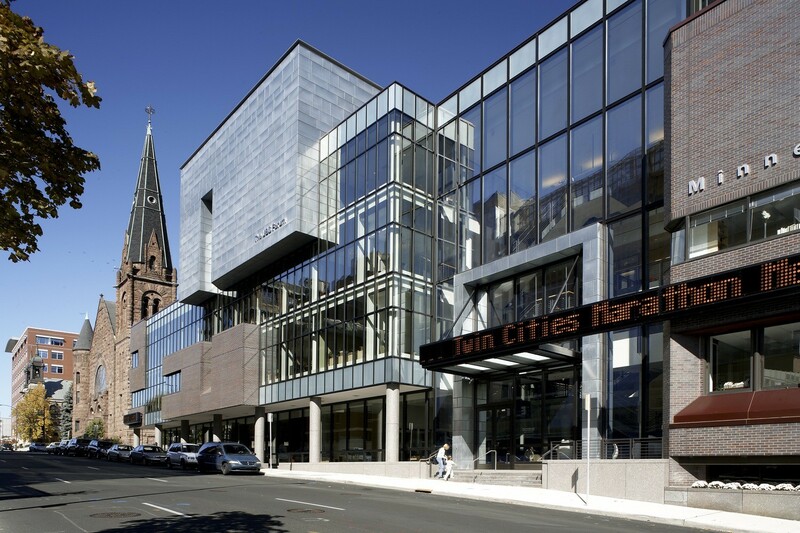 Located in downtown St. Paul, the Minnesota Public Radio building includes studios, edit suites, eight radio studios, 100-seat flexible UBS Forum, newsroom, news and music libraries, and video archiving. The program pivots around a vertical core, in which a suspended steel staircase with a series of landings serves as an informal gathering spot. 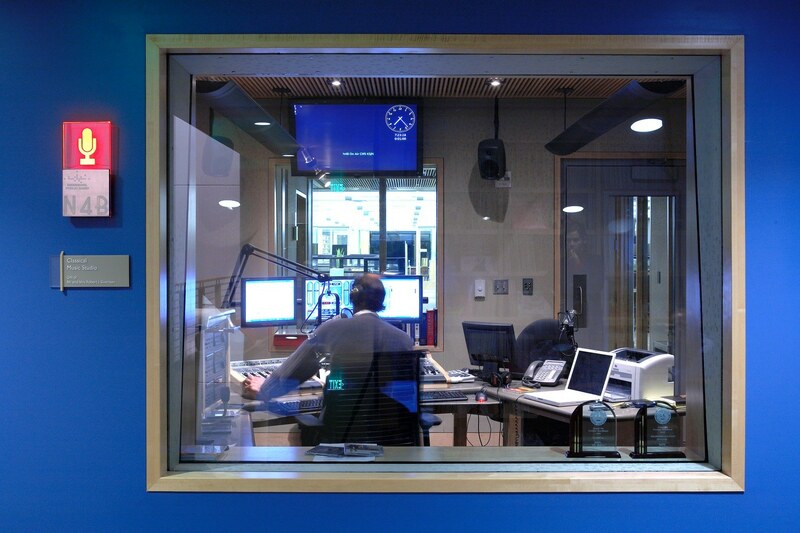 Interior spaces surround the core to facilitate collaboration. 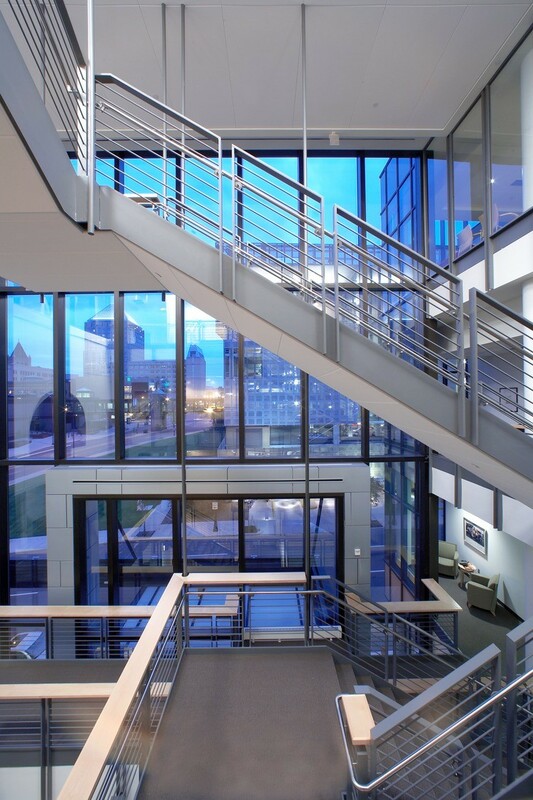 At the top of the stairway is the Pre-function Room and UBS Forum, designed as a multi-purpose space with folding walls and collapsible risers. The adjacent roof terrace provides vistas of downtown.